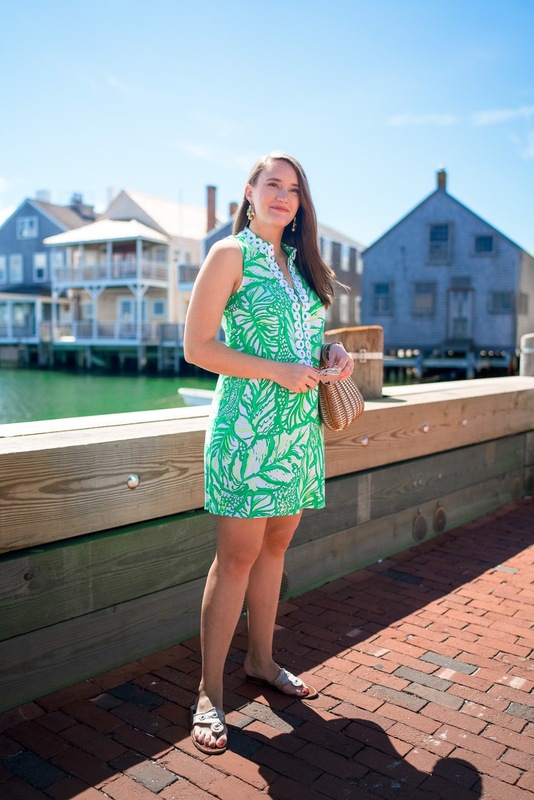 When you go to Nantucket, one must wear Lilly. 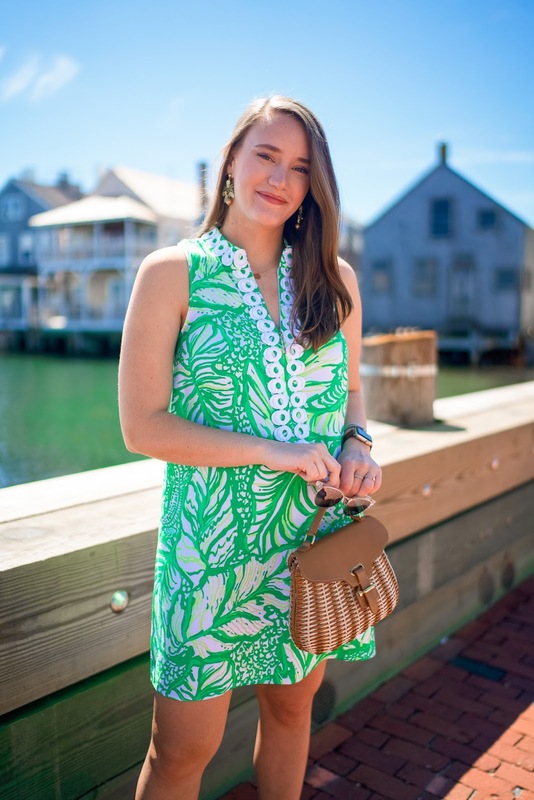 Not only is it the best for spring and summer months, but its the ultimate way to look your best, beat the heat and disguise any ice cream spills from the Juice Bar! 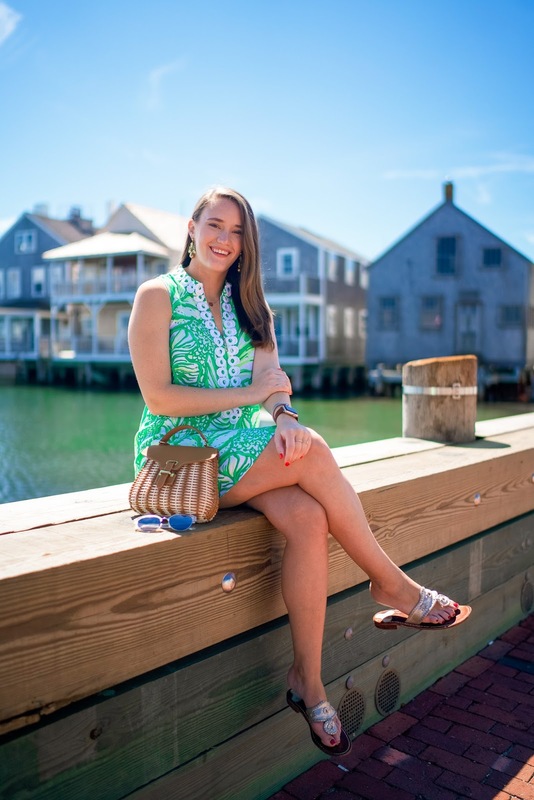 Where we shot is one of the most popular spots in Nantucket and for all the years we've been going there, we've never had good enough lighting to shoot in (until this time -- obviously!) Excited to finally get a shot of the iconic place where we love to be. 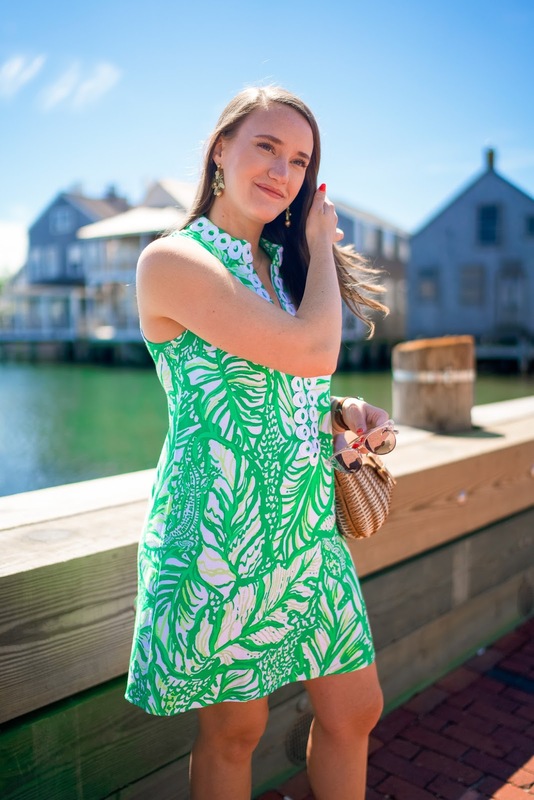 I got this Lilly Pulitzer dress because it reminded me of dresses I loved when I first started to buy Lilly -- the white circle trim just took me back and I couldn't resist. Good thing I did read the reviews though because it ran a full size big (which is not common for Lilly -- usually they are very much TTS). So I ordered it in a 4 -- instead of my usual 6 -- and it fit perfectly. 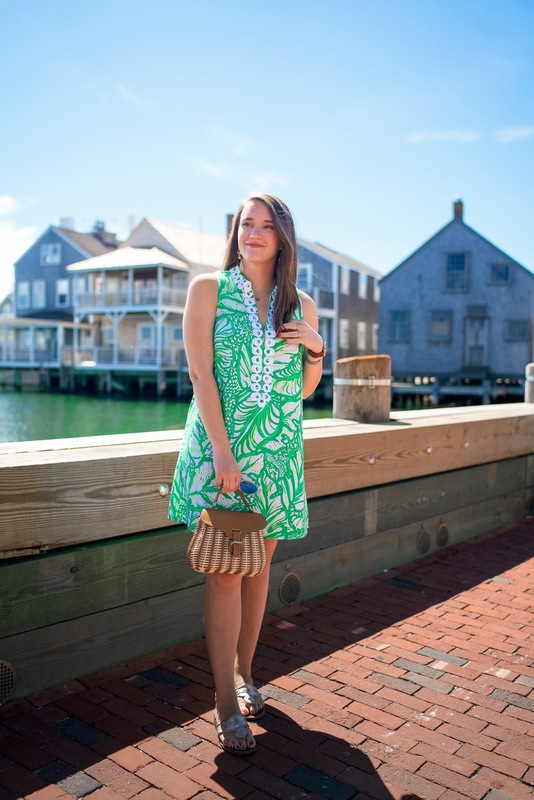 I really loved this dress because of the material. 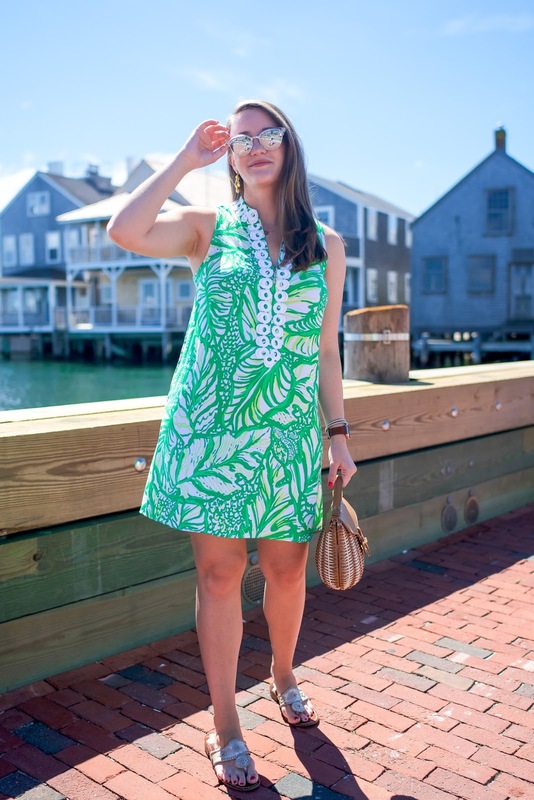 It wasn't the normal heavy cotton that usually make up shift dresses but a might lighter material that made the breeze that much more enjoyable on a hot day!